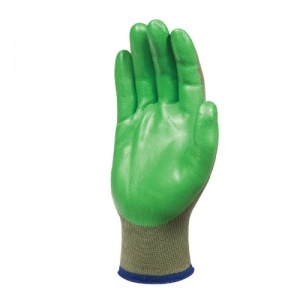 The Showa 4552 Green Biodegradable Nitrile Foam Palm Coated Gloves protect the skin against oils and grease, while providing long-lasting grip in dry and light oily conditions. The seamless design prevents skin irritation and the breathable back reduces perspiration, making the Showa 4552 Gloves ideal for extended wear. The Showa 4552 Biodegradable Nitrile Foam Palm Coated Gloves have been tested to EN 388, the European Standard that gauges a gloves resistance to a range of physical threats. Please see the table below for a breakdown of the results. 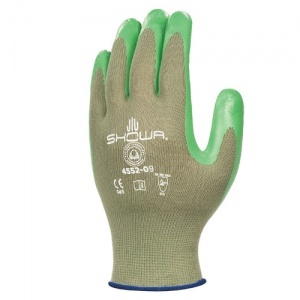 The Showa 4552 Biodegradable Gloves are available in sizes 6, 7, 8, 9 and 10.